Can you really make money for free with this service? Yes you can! CENTRAL DISTRICT, Hong Kong - Dec. 27, 2018 - PRLog -- The free Forex Trade Copier Service by Dennis Buchholz is without doubt the only one in the market that is gratis and produces real profit, about 200 - 500pips a month. Most Forex Trade Copier will cost you at least $200 a month or even more. And you don't have even any proof or trading history. 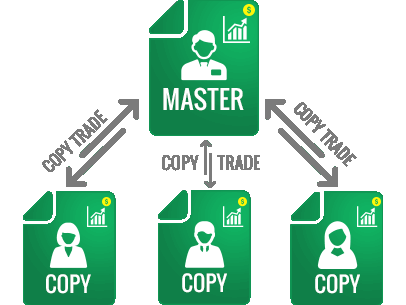 Otherwise the Trade Copier by Dennis Buchholz, it is free and you simply can test this service with a Forex demo account before putting real money on the table. Nothing to lose in the end. Dennis says you can get a monthly return of around 12%+ which is very good. Of course this depends on market conditions. But hey, it is free anyways, why bother?! You are entitled to this amazing free money making service, if you are a lucky owner of a Agimat FX™ Trading System FSO Harmonic Scanner™ license. The sign-up process is very easy. After Dennis or a someone of his team has verified your data, PDF documentation, tutorial video and the trade copier client software will be provided. : FX Tech Group Ltd.